If you have forgotten your domain, search your email folders for a message with the subject, “Welcome to ProtoShare” from customerservice@protoshare.com. This email includes basic account information as well as login details. If you cannot locate your welcome email, please contact us. 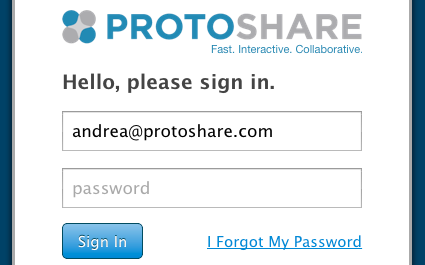 If you wish to change any details on your ProtoShare account, you can do so from inside your ProtoShare account as long as you are logged in as a user with billing access. 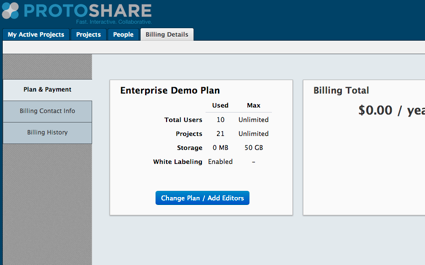 If you wish to cancel your ProtoShare account for any reason, users with billing access can do so from the Billing Details tab. For security reasons, ProtoShare Support representatives are unable to Cancel your account based off of an email request. However, if your Billing Manager is having trouble logging in, our representatives will gladly assist with retrieving login information.